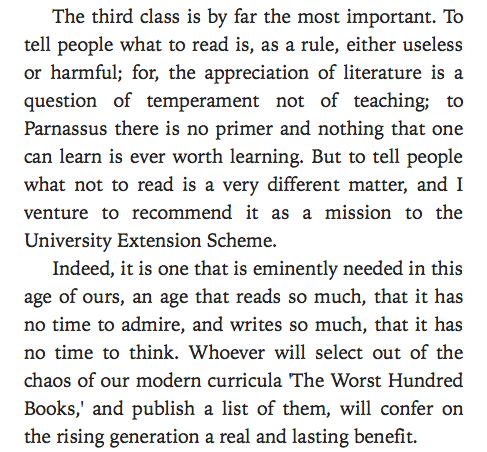 The amazing Oscar Wilde on why it is imperative for someone to come up with a list of books not to read. Ha! Excellent! I love Oscar Wilde.